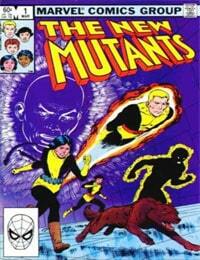 The New Mutants Average 5.00/5 - out of 1 total votes. After their first adventure in Marvel Graphic Novel #4, the newest generation of mutants takes center stage in their first ongoing series! See Cannonbal, Sunspot, Mirage, Wolfsbane, Magma, Cycpher, Warlock, Karma and Magik in their quest for mastering their mutant-powers and growing up in a world that hates and fears them. The series lasted for 100 issues, after which it was continued in X-Force. The Perhapanauts: Danger Down Under! Doctor Strange: What Is It That Disturbs You, Stephen?